Cryolipolysis, or commonly called coolsculpting, is an advanced aesthetic treatment that’s rapidly increasing in popularity nowadays. Imagine getting rid of your most hated flabs—saggy arms, love handles, and muffin top—by freezing the fats and melting them away without the effort of running miles and lifting weights. Zeltiq coolscultping can do wonders not only for your body, but for your self-confidence as well. Before you continue doing your own research to figure out whether this is the right procedure for you, take a look at this list of things that you probably didn’t know yet about coolsculpting. 1. Results are achieved gradually. After a full treatment, complete result is achieved in three to four months. The frozen fat takes time to be processed through the body’s natural waste disposal mechanism, which leads to a gradual change—quite ideal since most patients don’t want to make it obvious that they’ve had some work done. 2. The skin is protected during the treatment. During the treatments, the skin is protected by a cool gel pad every time. Also, this non-surgical procedure doesn’t require any incision or some sort of penetration of the skin, so there’s no risk for scarring. You’ll only feel that the treated area is cool to the touch and slightly numb, but all returns to normal a couple of hours following the cosmetic procedure. 3. You can return to your everyday routine after the treatment. One of the best benefits of coolsculpting Singapore is that you can have it done and return to your normal, “less vigorous” activities on the same day—no heavy exercises yet for a couple of days following a treatment. When you want to do zeltiq coolsculpting in Singapore, keep in mind that you may experience slight tenderness and cramping on treated regions, but they’ll all should subside in no more than a week. 4. Men can also benefit from this procedure. Zeltiq coolsculpting is definitely not a girls-only treatment. Men can also benefit from this cosmetic procedure and enjoy the same results with ease and convenience offered by still being able to play or work on their laptops, phones, or tablets during the procedure, the gradual nature of achieving results, and the anonymity of going to an aesthetic clinic to have the treatment done. 5. This procedure kills the fat cells for good. 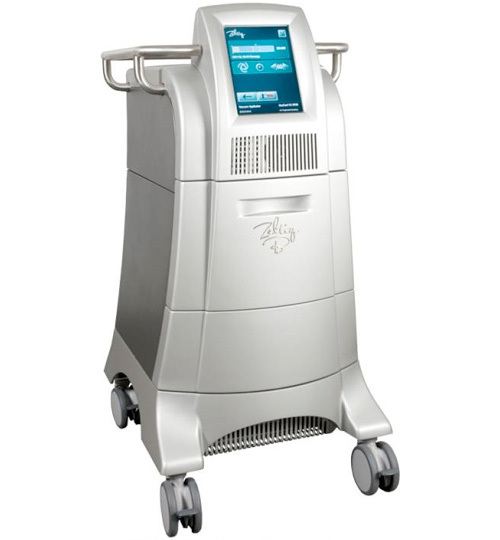 The techology used for the coolsculpting treatment will lower the temperature of the treated area to -6oC. Clinical researches show that fat cells cannot survive at this temperature while not causing harm to the nerves and surrounding tissues. 6. It’s not painful—it’s relaxing. Unlike the traditional liposuction procedure, coolsculpting is a non-surgical treatment that requires no incision in the skin; therefore, not causing any pain on the patient. The procedure may only feel extreme coldness in the target area at first, but the sensation fades and most patients use the time to relax, work on their laptops, listen to music, read a book, or even take a nap. 7. The procedure is FDA-approved. Coolsculpting is an FDA-approved fat reduction procedure. As a result, coolsculpting Singapore not only is a safe treatment to use, but also a trustworthy technique to implement on the human body. A lot of fat reduction technology was tested, but very few were approved and certified by the FDA—and one of which is the coolsculpting treatment. 8. There are no side effects with this procedure. Many fat-reduction methods are not approved by the FDA mainly because of the risks associated their side effects. On the contrary, coolsculpting rules out the risks as the procedure is simple, non-invasive, and has no major side effects. During the process, it’s always ensured that the temperature to which the fats are exposed does not affect the normal cells. This is maintained on a certain level to prevent any harm to the skin, organs, and nerves in close proximity. 9. The initial results can look strange. Right after the procedure, the treated area may look like something’s stuck beneath the skin that causes the area to look bulgy. This is just temporary. The swelling subsides in a couple of days and gradually shrinks as the frozen fat melts down and gets disposed. 10. 7 out of 10 patients say they would do the treatment again. One good thing about coolsculpting is that there’s no limit on how many times you can do the procedure to improve your physique. In fact, 70 percent of Singapore patients who have been through this cosmetic procedure said that they’ve seen excellent results and would want to do it again. 11. Exercise and diet are necessary to maintain results. This treatment reduces excess fat in targeted areas by 20 percent, but it does not prevent the remaining fat cells from expanding. Coolsculpting works best and results last longer when you pair it with regular exercise and healthy eating habit. The common goal of all fat-reduction methods is to get rid of unwanted fats and achieve a more toned and shapely body. Coolsculpting, being an FDA-approved fat-reduction procedure, does this job easily and safely. Studies show that even if other non-surgical techniques provide better outcome, the results aren’t long-term. Why? Because there’s no other technique that can totally destroy fat cells like how coolsculpting does. Unless the fat cells will be completely eradicated from the target areas, there’s no point of reducing them in size as they’ll grow back once you stop doing the treatment. However, with Zeltiq coolsculpting, you can get long-lasting results, because body parts become fat-repellent once they get treated. Therefore, even if you gain weight after completing the entire process, you’re unlikely to accumulate that much fat again in the treated areas.